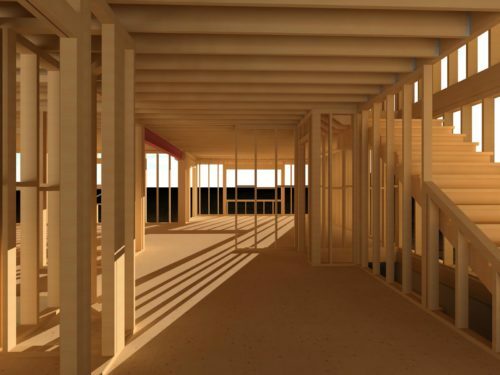 Virtual Reality adds another level to your home building business. Not just for presentation purposes, as many assume, there are other great business reasons to adopt home design VR experiences. Here are 10 reasons for Home Design VR Experiences. 10. Informed Buyers. Thanks to television channels like HGTV and its lineup of shows, buyers today are far more informed than they ever have been before. That means that designers and builders had better have the most state of the art tools at their disposable if they hope to win a client’s business. They expect VR in home design. They know it is available. 9. Visualizing. Most people have a problem visualizing. “I can’t imagine the purple drapes next to that neon yellow sofa, I am not sure…”. That hesitation, that uncertainty, ends the sales cycle. You need to immerse them and show them how ( I can’t imagine myself) that purple drapes will complement the yellow sofa. In VR you can see from every vantage point, like you were in the room, and make a more confident decision. 8. Onsite discrepancies. Most people think a Home Design VR experience involves bulky equipment but that isn’t the case. You can send a 360 VR view right to a smart phone. Pan around the space on your phone, while right in the same physical room, review how it was supposed to be framed or detailed and carry on building it. 7. Marketing. Just by indicating that you offer VR experiences is going to appeal to some buyers. They will see you as at the forefront of technology and seek you out. Just having it available is powerful. 6. Saving time. Working with a client as they try to make decisions can be a very long process. They weigh the options, put swatches beside each other, go back, look at others. Now in a more streamline approach you can show them different options more efficiently. Left click, “how about this? No, ok, let’s try a few different options, now look?” A more efficient way to review options when you have several to offer. 5. Upsell. Talking about options.. show them exactly the impact they will have in a room by immersing them in the room and letting them walk around the space with all of the upgrades there to review. A Home Design VR experience is a perfect avenue to emotionally connect buyers with a space and see the difference an upgraded detail can make to their forever home. 4. Increase traffic at a home show. If you are exhibiting at local home shows or events take your VR setup with you. It’s a great way to get people to stop by your booth and spark a conversation. 3. Cost. The size of space required for a full VR setup is minimal, but the space required for product samples and the dollars spent on taking care of that inventory is much higher. One computer and one VR headset and you are ready to visualize the same samples and experience them in the room you are designing. 2. Social Media. Do you want more likes, tweets, shares and pins about your business? Give them an experience they can share on social media. A 360 view of their space, sent to their phone, is powerful and will promote them sharing it with others. 1. Alternative model home. Traditionally, model homes have represented the most effective selling tool for home builders. Model homes are the equivalent of test-driving a car before you buy it. Model homes do have one major downfall, though. If a potential buyer isn’t a big fan of the Corinthian tile that’s covering the 4300 square foot model home it’s not exactly logical to rip it out and install solid bamboo flooring just so they can see the difference. That’s where a Home Design VR experience comes in. Virtual reality will vividly show the user multiple options, making the pros and cons of design decisions clearer than ever. Chances are you wouldn’t buy a six figure car without taking it for a test drive first and handpicking all of the accessories. Now you can apply the same careful process to the home design and building experience. Using home design software like Envisoneer can make it a more personalized experience for the buyer and a more cost effective alternative to show homes for the builder. 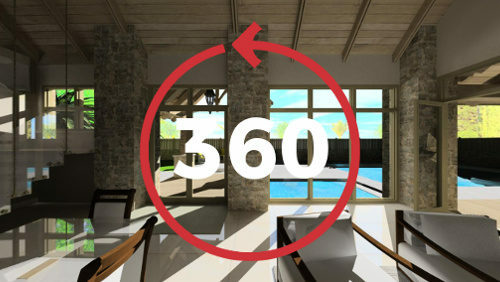 Visit www.cadsoft.com/products/virtual-reality/ for more information on how a world leader in 3D modeling capabilities can quite literally walk you through your dream home or project before a single nail is hammered.